Before we get into how to design cheap machined parts, we need to understand the mindset of reducing the number of operations to make your part, so let’s quickly review how and why it’s so important. With CNC Vertical or Horizontal Mill Machining, usually, it’s most economical to set a build up with fixtures arranged in a row or grid where we place multiple pieces of material in a specific position to machine in one direction, then flip the parts over for other features, then do it again, and so on and so forth until we finish the parts. We call each flip of the part an, “Operation or Op”. It’s most economical this way because once the first op is proven, the machine very quickly indexes to the next location and repeats the work. Horizontal milling (4th axis) can save more time and costs by simply rotating the workpiece to eliminate the “operations” of flipping the part. The more Ops (flip of the part), the more expensive the part. Why? We have to create a program for each operation. We have to load and unload a different set of tools for each op. We have to load and unload parts over and over again for each op. The tool change times add up quickly. There are more chances for errors with each operation and on top of that, we have to spend time setting up the operation and proving that it will make all the features to specification. And if your quantities are in the 10-50 range, the cost of all that time isn’t amortized very much. 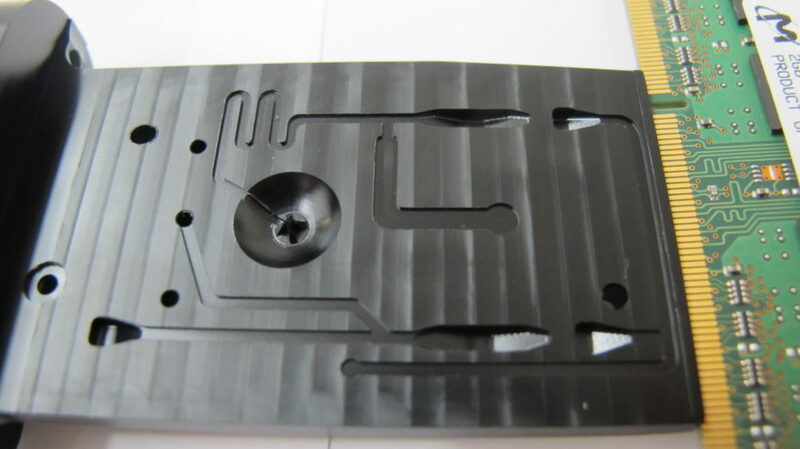 For example, it may take only 2 minutes to machine the face of a small part, but it will take an hour to set the machine up to do it. If there are 5 operations at 1.5 hours each, but only 30 minutes total run time. Then 7.5 hours is charged for just 30 minutes of machining. If you can knock the operations down to 3, you could save a lot of money. So basically, we want to design parts with as few ops as possible. And even with a 5-Axis CNC, we still need to think about how we can hold the part, reduce machine time and try to machine all the features easily from the available directions. Just because we can hold the part and machine all the features at once doesn’t mean it’s cheaper. We still have to set-up every tool, prove every tool and every feature and then it can easily become more expensive due to having to unload and load parts one at a time. 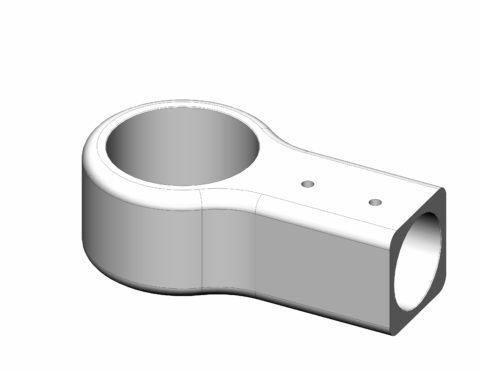 The true benefit of a 5-Axis comes in low volume, complex parts. These considerations create a mindset that is fundamental to designing parts that are cheap and easy to make. Design as many features from one direction as possible, preferably it takes place in the very first operation. Minimize the number of operations so the material doesn’t have to be flipped over and over again to machine features from all angles. Design so the part can be flipped at 90 degree angles. Use standard nominal sizes for radius features of external radii, so special tools do not have to be ground. Make sure they can be machined in a single plane. 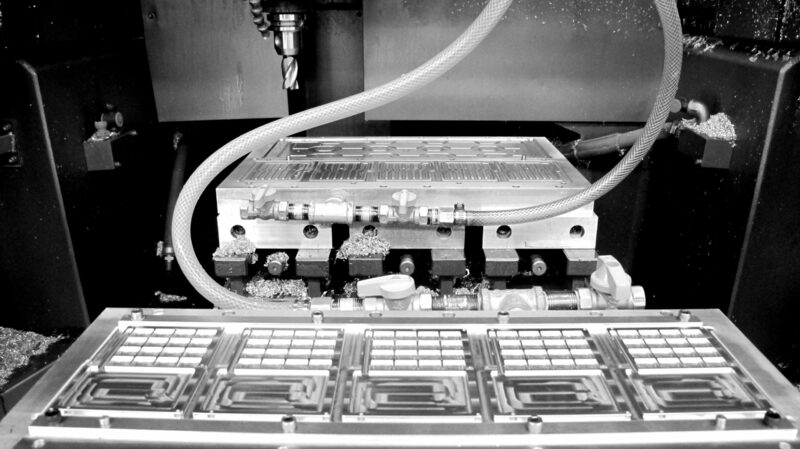 Visit #1 Killer to a Low Price CNC Machined Part to learn more about radii. 3D Surfaces add cost because the ball end mill has to trace the paths often 100s of times to achieve a reasonable finish. Consider where you are in the development cycle and follow DFM Axiom 3; don’t put yourself into a a high-cost design corner early. Though it looks cool, the above example is definitely more suited for a die or zinc cast process and the curved features don’t improve the function, only the form. We always want to make decisions that improve function and form simultaneously. The bulging curved OD will have to be milled with a ball end-mill requiring 100s of passes to achieve a reasonable surface finish. In addition, there will significant bench work to polish out the surface to a smooth 32 RMS finish; that’s overhead labor which is much more expensive than a machine running. The two threads on the front and back sides creates two unnecessary operations. The part will have to be flipped for both sides. The cylindrical neck requires the part to be flipped vertically, then an end mill to trace the outside diameter a few paths which takes more time due to deflection of the tool. The neck is long. It also causes problems for holding the part. We have to hold the part at the base, which means the neck is going to flex while it machines, so it’s slow going. Then the fillet blend between the neck and the curved OD will take a tremendous amount of time to achieve. The set-ups for the top, the bottom and the neck all require the tools blending precisely. This will also require a lot of hand finishing on the bench. 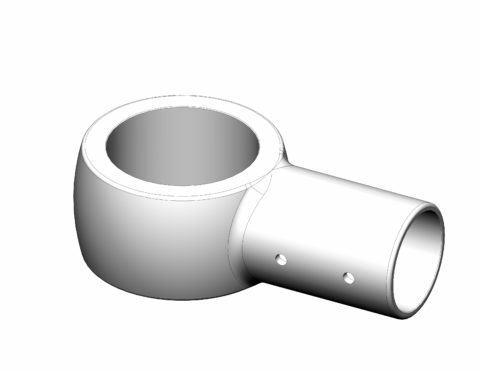 The fine radius edges on the top and bottom will require 3D interpolation as they blend into the larger diameter. As is, the above part is an expensive 5 operation part with long run-times. If it was plastic, it would be very difficult due to the hand finishing for all the blends. Sure, it could be made one at a time on a 5-Axis , but it would take a long time and still require the hand finishing. Here, is the same part but with only 3 Ops with a 1/10 of the run time. It will perform the same, function the same and is 10X cheaper…the only issue is, I can’t pretend to be a product designer for Apple anymore; it doesn’t look the same. First, the bulk of the features are all machined in the first operation, removing 2 Ops and that’s a BIG win. The major geometry is machined in a quick outline around the part, then the big bore, then the edge radii, then the drill and threads. The edge radii are a standard .1875″ size and is milled in a single plane. Not a big deal, don’t have to order a custom ground tool. Want to save a little bit more set-up time, make it a chamfer. When the part is flipped vertically for the bore through the neck, it can be clamped high on the neck. This is much better than before and allows for more aggressive machining. The part only requires deburring and zero hand finishing when it comes off the machine. And on top of all this, it was easier to model in Solidworks as well. What happens is we fall in love with the form and are unwilling to let-go of it for low-volume builds. Great products require graceful, beautiful form. However, great products never make it to market if that beautiful form forces the development, testing and market testing costs to go through the roof. That’s why it’s best to always have two configurations in your design. One for getting you from concept to pre-production that’s functional, but sacrifices a little form to save money and then the production design configuration, where you can leverage tooling and processes that allow for the manufacture of those graceful features more economically.